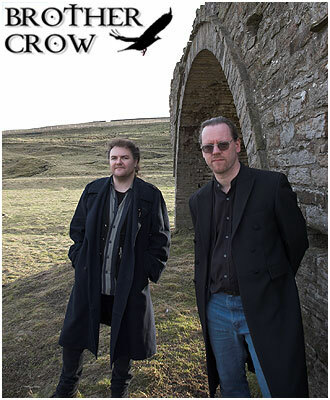 Brother Crow are an acoustic duo from Weardale, in the heart of rural North East England, who perform original narrative songs about the people, places and historical events of their local area and beyond. Andrew Davison, who plays six and seven string guitars and ten-string bouzouki, is the duo’s lyricist and main songwriter. He combines powerful rhythm and delicate finger-style to dramatic effect and uses his evocative lyrics and strong sense of narrative to paint imaginative pictures for the audience. Graeme Carroll is an accomplished mandolin player and accompanist. His playing has a complexity which combines affection for traditional tunes/playing with a modern melodic style. 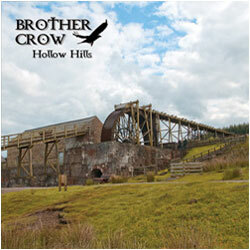 Brother Crow’s live performances have been described as intense, captivating, haunting and passionate. The dark nature of some of their songs being counter-balanced by a strong stage presence, a natural sense of humour and fun and a deep knowledge of their subject matter. Recently, the duo won the Klondike Folk Arts Competition at Ryedale Folk Weekend for their song "As Children We Would Run" and the Tommy Armstrong Best Song Trophy at Durham Traditional Music Festival for “Once Their Were So Few”. 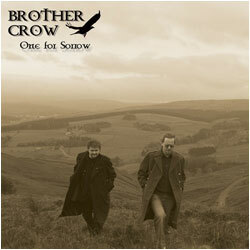 Their critically acclaimed debut CD "One For Sorrow" was released in June 2007 and their second CD "Hollow Hills", is also available to purchase - click here for details. delivered with feeling and passion...a talent many will envy." "These songs are certainly memorable, many of them peculiarly haunting, and their lyrics suitably evocative. Put me in mind of early Show Of Hands material." "Original music replete with the charm of the duo’s native Weardale. Thumbs Up." "This CD (One For Sorrow) with it's 11 tracks is an absolute gem." "Haunting captivating songs, intoxicating melodies, passionate performance"
"Absolutely superb. Their songs are hauntingly beautiful and lean heavily on the narrative, turning each into a captivating story full of meaning."